Apple on Thursday sent a batch of emails to remaining MobileMe users reminding them to upgrade to iCloud before the migration deadline, while EFI firmware updates rolled out for 2011 iMac, MacBook Pro, MacBook Air and Mac mini models. 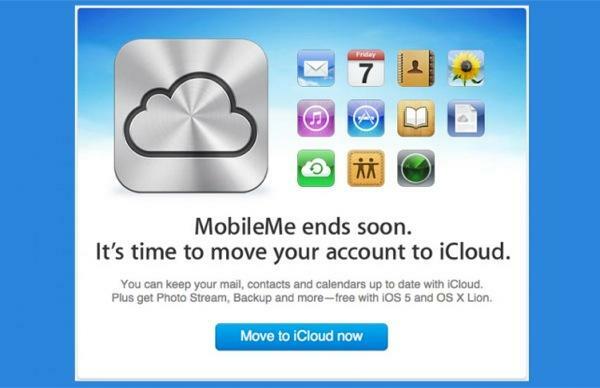 Citing information from website Freakgeeks.com, The Next Web reports that Apple sent out emails on Thursday which reminded MobileMe users to switch their accounts to iCloud, as the migration deadline of June 30, 2012 nears. The move is not uncommon for Apple, as the company previously notified holdouts of upcoming service changes when it moved from .Mac to MobileMe. When the company's free cloud syncing and storage service was announced, emails were sent to existing MobileMe subscribers in preparation of the October, 2011 launch. Once the deadline to migrate passes, accounts will reportedly be migrated to iCloud without user permission, and user data may be lost. Apple's iCloud now has over 85 million users and is the backbone of iOS 5's data syncing and storage capabilities. Thursday's firmware update offers stability improvements, fixes network booting reliability and addresses an issue with selecting a boot device when USB storage is hot-plugged. MacBook Pro EMI firmware update 2.7 for early and late 2011 models weighs in at 4.24 MB, while the mid-2011 MacBook Air's firmware update 2.4 comes in at 4.06 MB. iMac EMI firmware update 1.9 covers early 2011 models and is 3.77 MB, while the mid-2011 Mac mini update 1.6 is a 4.08 MB download. All updates require machines to be running Mac OS X Lion 10.7.3 or later.